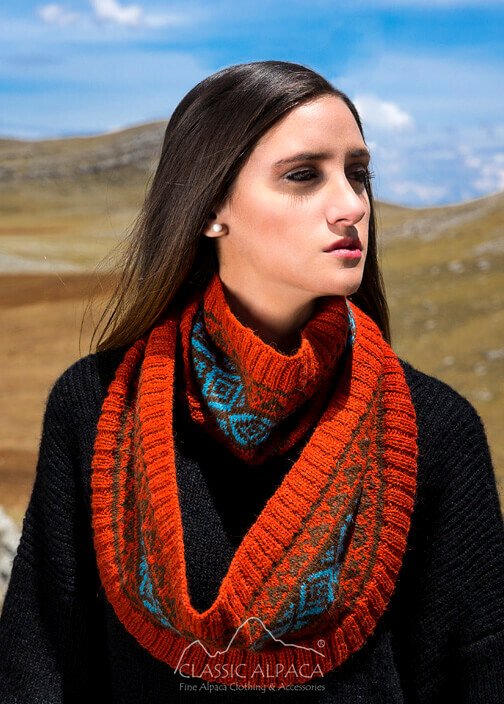 This lovely alpaca scarf will look fabulous on you! Made of 100% Baby Alpaca, this handmade, cozy accessory featuring beautiful Ethnic design is super soft, classic, warm, lightweight and trendy. It will definitely add a touch of style to your look.